We found some servers for you, where you can download the e-book "Select beauties of ancient English poetry." 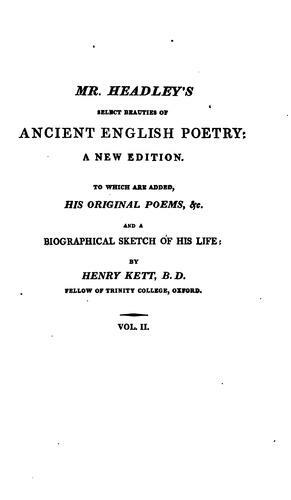 by Headley, Henry TXT for free. The FB Reader team wishes you a fascinating reading!